It almost sounds ludicrous: Not that long ago, digital marketing meant building a website. Full stop. Nothing else. When you stop smiling, see how quickly you can list off other ways people are marketing their products and services online. At the top of that list are many social media platforms: Facebook, Twitter, Instagram, Snapchat, YouTube, and more. It’s a huge and growing market. The number of people using social media grew to 3.196 billion in 2018, up 13 percent from 2017. In 2016, it was found that 67% of Ontarians use social media platforms. 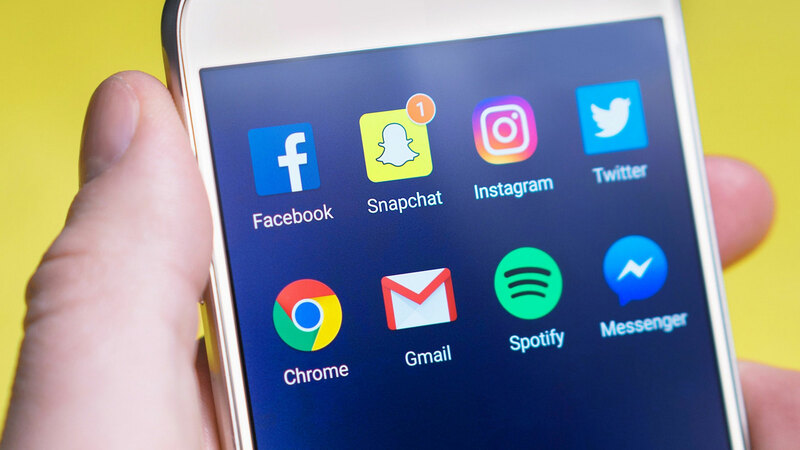 It’s therefore not so surprising that social media has come out on top as the most important kind of online advertising (according to a report from the Canadian Association of Marketing Professionals and Ignite Digital, titled Canadian Marketers 2016 Outlook.) In fact, almost four out of five people said the success of their online marketing was thanks to social media. Pretty much every marketing research report you can find says that Facebook is the most popular social network. But the rankings below Facebook can vary, depending on who you talk to, so be open to advice, which can vary depending on your audience, your budget, and your commitment. Instead of your business profile being simply a website, social media allows your business to create an identity, a personality. How you want that personality to come across is up to you – are you knowledgeable? Do you have handy tips? How’s your sense of humour? By sharing opinions, tips, images and videos on social media it won’t take long for potential clients to see you as more than your service or product. And letting them see who you are goes a long way towards building familiarity and trust. While many people are uneasy about how much Facebook knows about them, that information is a business owner’s dream when it comes to advertising. If you purchase an ad through Facebook it allows you to define who sees your ads, so you’re not wasting any money on showing your ad to unlikely clients. You can target viewers by where they live and work, how old they are, what their hobbies are and the kind of entertainment they like. You can even create a custom Facebook audience of people who have visited your website. Just choose a format (video, photo or text), design a terrific ad that you think will grab potential clients’ attention, then put it in front of a very specific audience, chosen by you. All marketing efforts boil down to one goal (aside from getting people to spend money): increasing a business’ visibility. You want as many pairs of eyes as possible to see your name and remember you when they need whatever it is you’re selling. And it’s not just about ads. You want to use social media to create and share memorable videos or images that people will want to pass along to friends and colleagues, giving your business a boost with a link to your website or social media profile (this is called a “backlink”.) Reviewers, bloggers, and other people who are trusted sources of information can be a helpful part of backlinking, so it doesn’t hurt to reach out to them to let them know of something you’ve made that they might want to share. Play nice. It pays off.